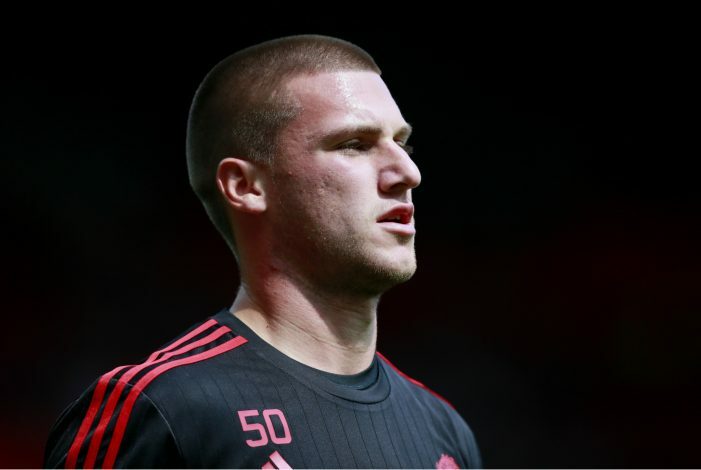 Sam Johnstone has signed a new two-year contract with Manchester United, that will see him remain at the club till 2018, with an option to extend a further year. Johnstone has been at Old Trafford for 13 years, and has represented the club at every level. He is currently United’s 3rd choice goalkeeper, behind David de Gea and Sergio Romero, but has been tipped by manager Jose Mourinho to become the club’s no. 1 some day. The 23-year-old goalkeeper is yet to make his competitive debut for the club, but has gained plenty of experience through going out on loan to clubs such as Oldham Athletic, Scunthorpe United, Walsall, Yeovil Town, Doncaster Rovers, and Preston North End. He has also represented England at under-20 level. The youngster has been linked with a switch to Aston Villa recently. Steve Bruce was confirmed as the new Villa manager earlier this week, and Johnstone was said to be his first target. However, news of Johnstone’s new contract should all but rule out a transfer to the Midlands, on a permanent basis at least. Speaking to United’s official website, Johnstone said : “I am delighted to have signed a new contract. I have been with the club since I was 10 years old and have grown up here. The last 13 years have flown by and I have enjoyed every moment of my time here so far.